Brody Buchanan went AWOL from Delta Force to find the truth. When a message in a bottle eventually leads him into the depths of the Brazilian rain forest to a burned-out orphanage, the last thing he expects to find is his mate. Or his enemies. Good thing he has friends. As one of the CIA’s most lethal assassins, Izeta Cordero’s job is to eliminate enemies of the USA. Her current assignment is to eradicate a former Delta Force Special Operator who’s gone off the reservation. When Zeta puts the man in her cross-hairs, she discovers he’s far more special an operator than she ever imagined, putting her mission, her heart, and maybe her life at risk. 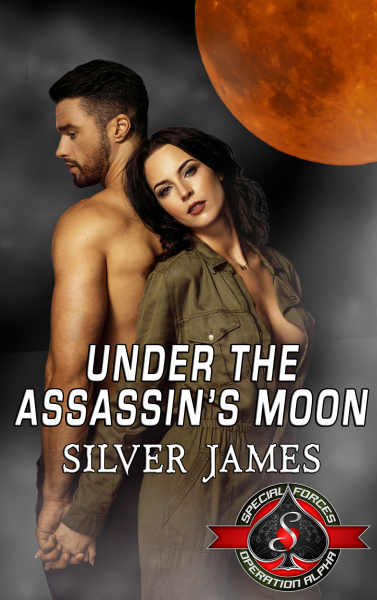 Old enemies reappear and death comes hunting, but two lost souls might find the redemption—and the love—they didn’t know they were searching for. All they have to do is survive.